CloudPad 702q Spotify Edition Review! Complete Multimedia Package On A Budget! 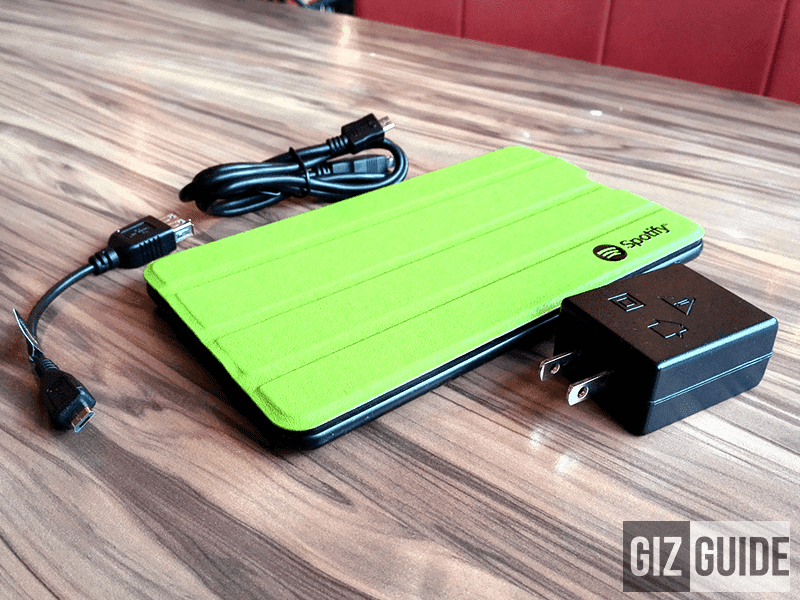 Home / cloudfone / mobile / reviews / CloudPad 702q Spotify Edition Review! Complete Multimedia Package On A Budget! 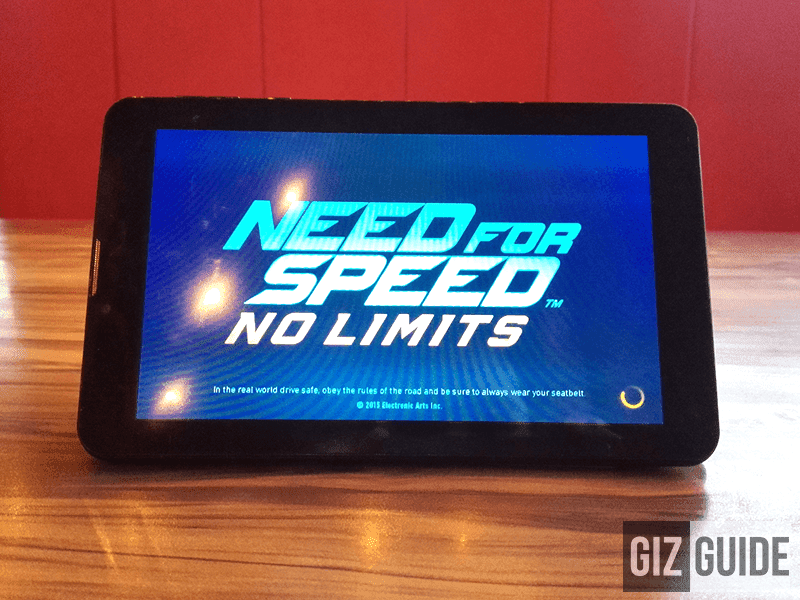 Ever-since CloudFone introduced their Spotify line, I was intrigued on how those devices will perform in the real world. Recently we were able to get a hold of the Thrill 500x and Thrill 500x+ which are decent devices in their respective price points. 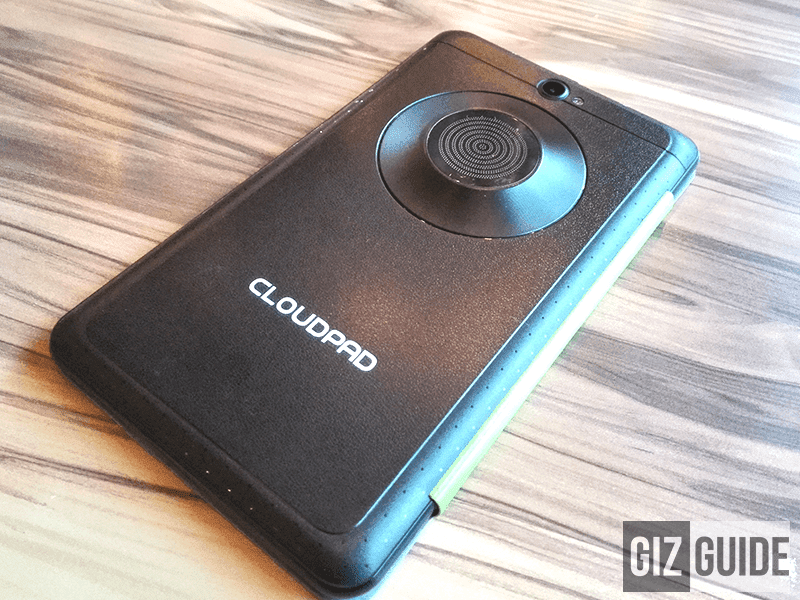 However, the device that really caught my interest is the CloudPad 702q. 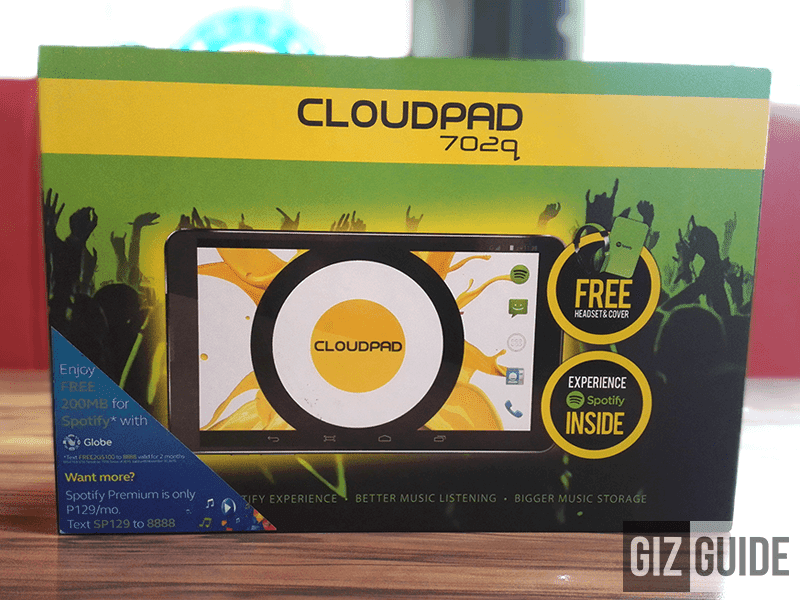 The CloudPad 702q may not be that powerful on paper, but this tablet got a special big loudspeaker at the back and a design that's meant for those who love to listen to music and watch videos on the go as it's the most affordable device to arrive with the complete Spotify package. Having said all of that we were able to secure a review unit so without any further delays, let's begin. I'll say this again, opening a Spotify edition device from CloudFone is one of the most exciting unboxing thing I ever did. 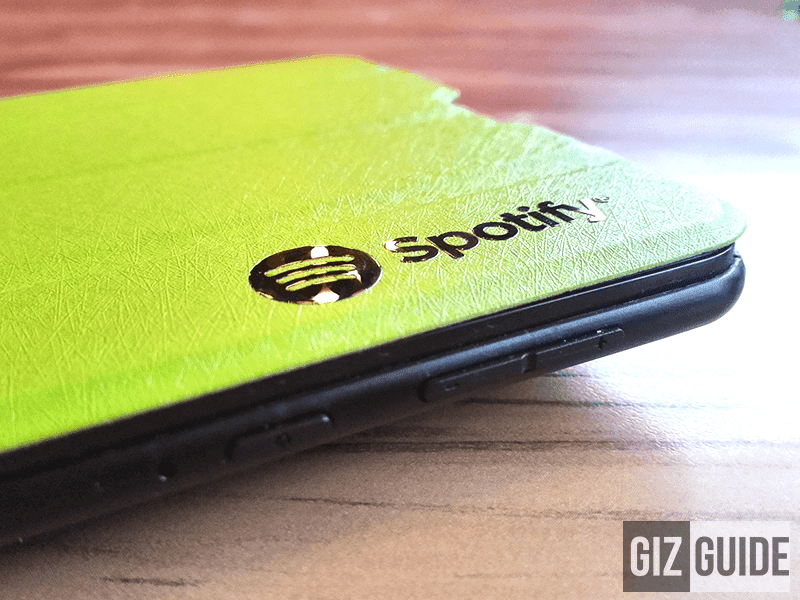 At first you'll be greeted the Spotify labeled cover / stand of the tablet on the left side and on the right you'll see the big green Spotify edition headphones. Upon removing the rest of what's inside the box, you'll see that there's a wall charger adapter rated at 1 A, thick micro USB charging / data cables, USB OTG, Free Globe SIM card with 200 MB worth of data for Spotify. Then as usual, there's also some paper manuals that will serve as your guide. 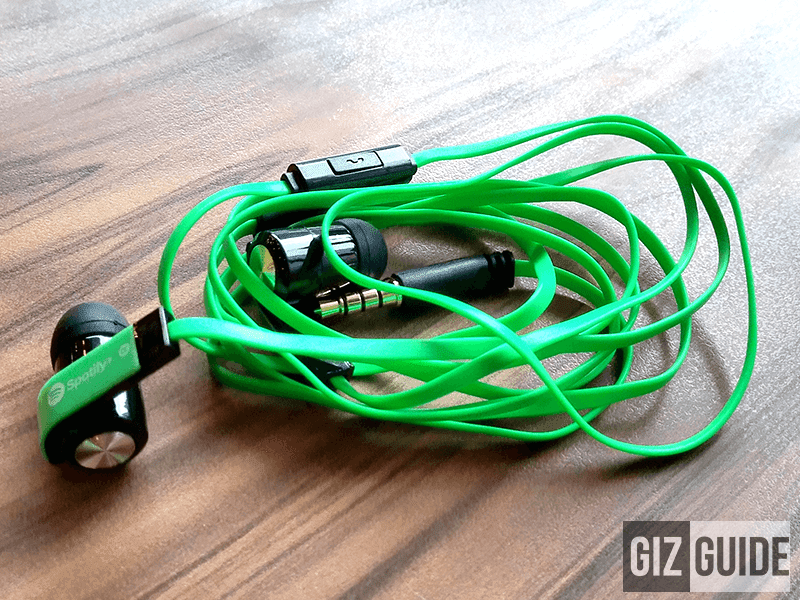 Then the most special part of this package is the inclusion of a FREE Spotify edition headphones and in ear monitors to make you enjoy music and watching on the go, whether its on Spotify or not. Given the low price tag of the unit, CloudFone was able to impress me here better as they were able to put good materials to ensure the durability of the tablet. The 702q goes with an all plastic body, but the type of plastic that you know will last even after several hard drops. It also goes with an attached tablet cover to prevent the screen from breaking and avoid scratches. By the way you can also use that cover as a stand. Going to the design, it's a bit more on the edgier side of things as it boast an un-usual design at the back. You'll see there a big rounded hump where the loud speaker is located. But in general, that extraordinary look won't affect the ease of use of the tab especially when holding it using one hand. Moving to the button placements, CloudFone made sure that there's no awkward position as the both the power button and volume rocker is quite easy to locate and press. The only thing that I did not like here so far is the a bit thicker than 2015 standard design. 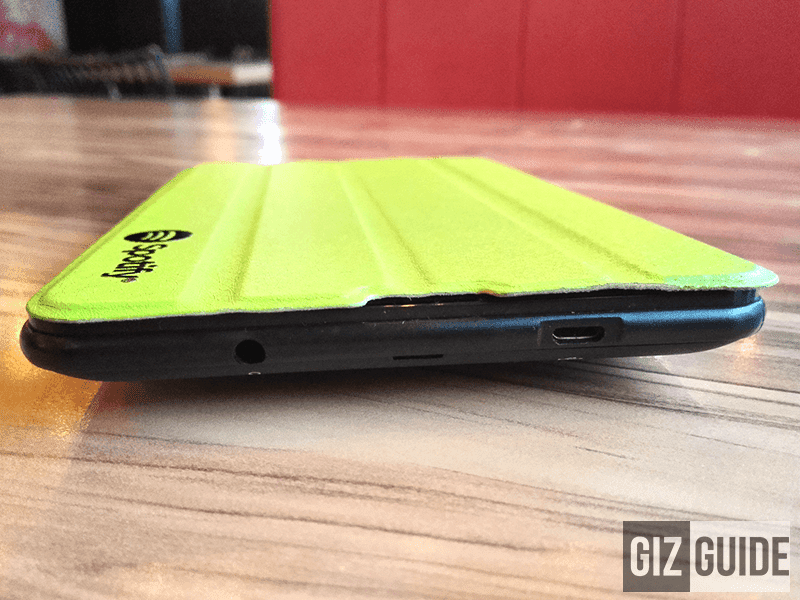 Although the large hump at the back is acceptable to give you a better speaker setup compared with normal budget tablets. If this tab has one weakness, it has to be the display. At best you only get decent viewing experience with acceptable viewing angles and colors. However it isn't as sharp, detailed and vivid as I would have liked. Putting it on max brightness makes things acceptable. Just avoid using it under direct sun-light as you'll only get frustrated. The good thing is it didn't follow the super wrong track of other tablet makers by putting more than 2 points of multi-touch at 5 to be exact. Speakers - I believe that this is where the CloudPad 702q excites me the most. It sounds loud while maintaining a clean frequency response. Probably the loudest I heard on a tight budget. (Even louder than the sound of my Asus T100) I also liked that it was able to provide great soundstage and instrumental desperation to help you determine where the instrument is actually placed. However, just like most normal budget devices you'll experience noticeable distortion on max volume. 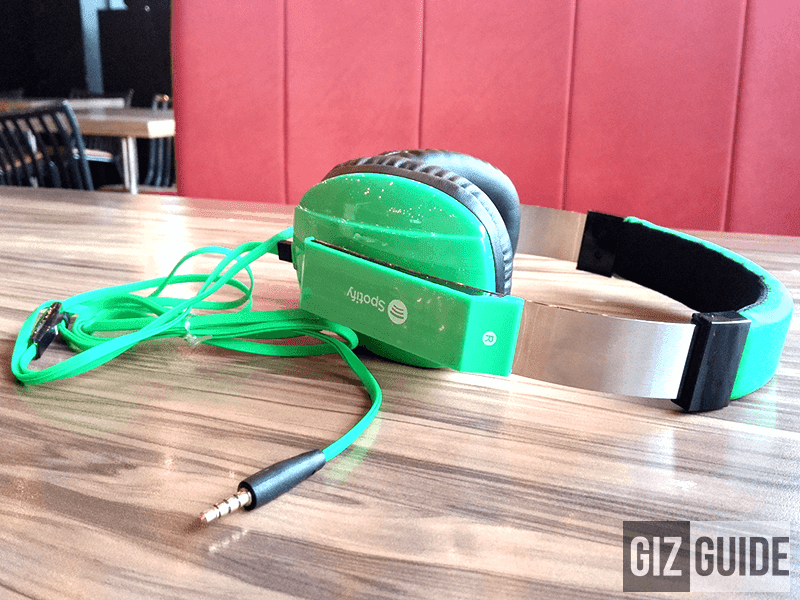 Headphones - The Free Spotify edition headphones found here that looks razer-ish overall sounds acceptable especially for a freebie. Like the speakers it boast a dark / warm sounding sound sig that makes it sound decent in bassier and pop tunes. However, I find the mids a bit congested / mudded to my liking and I find the soundstage narrower than expected. Fortunately, they made up for it with some nice sub-bass reproduction and clean highs when needed. Still great for something that you don't need to buy anymore. Earphones - The same goes with the earphones, it sounds close to the headphone which makes it quite nice for something that you get for free. It just sound few notches weaker than the headphone. Still nice to have this for a freebie. Audio out - I believe that CloudPad 702q was able to use some sort of decent DAC setup here. What I liked here is it sounds meaty and full. It also gives that warm and smooth sound great for most popular genres that's easy to love. It's CTIA compatible and headphone friendly as it's loud enough to drive non-sensitive headgears. However, there are some tracks where the treble gets peaky and distorted at loud volume. Fortunately, that's just nitpicking on my part. Microphone - The mic isn't really that special, but it works just fine and clear enough for calls and recording some stuff. 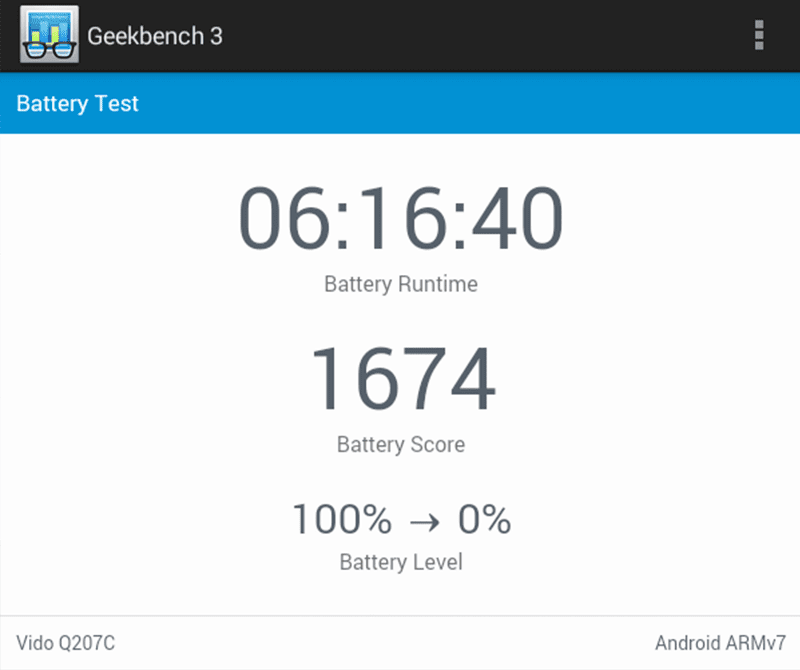 I must admit that I was very surprised on how well this tablet fared my battery test. 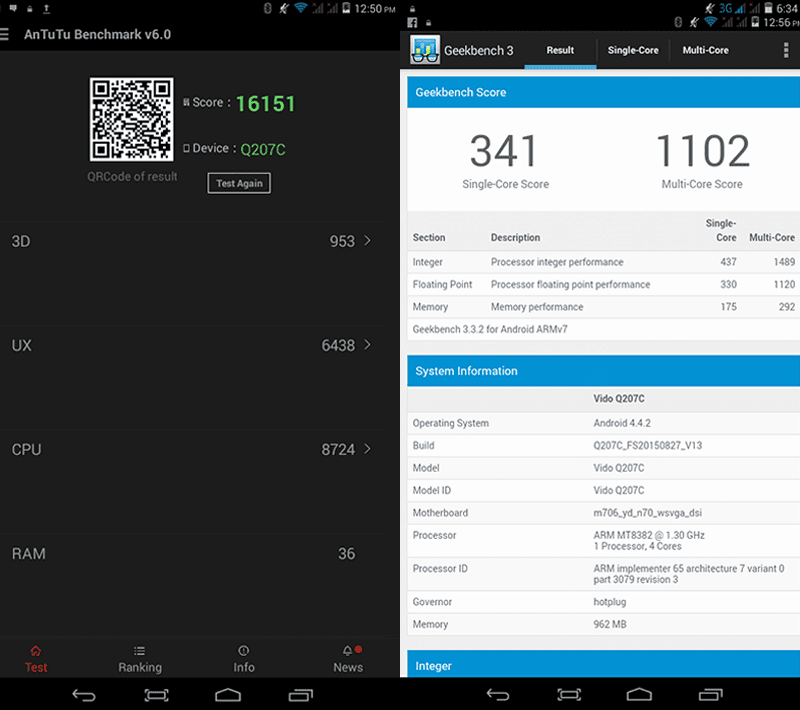 With the use of Geekbench battery benchmark too. It was able to 6:16 mins of battery run time under heavy usage. That was quite unexpected as this tablet only has 2,800 mAh of battery. In daily usage, we were able to enjoy using the device from time to time for more than a day on a single charge. It's great to know that CloudFone was able to optimize the battery of this tab that most users will definitely enjoy. This device also includes a dual camera setup. 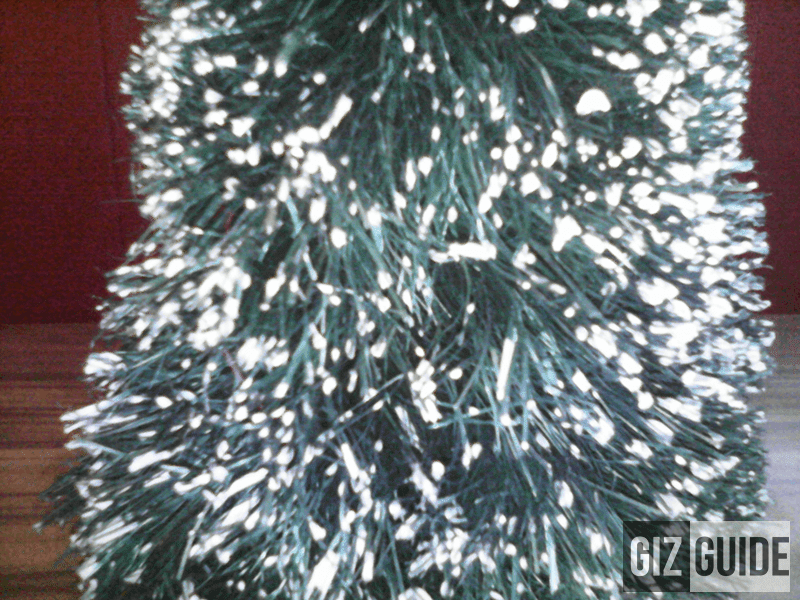 You get a modest 5 MP sensor with a rare LED flash for a tablet at the back and 2 MP sensor in front. Quality-wise, the rear camera performs acceptably with good light conditions and the flash is quite strong. It was just a bit grainy / under-saturated to my liking that doesn't have fast shutter speed. 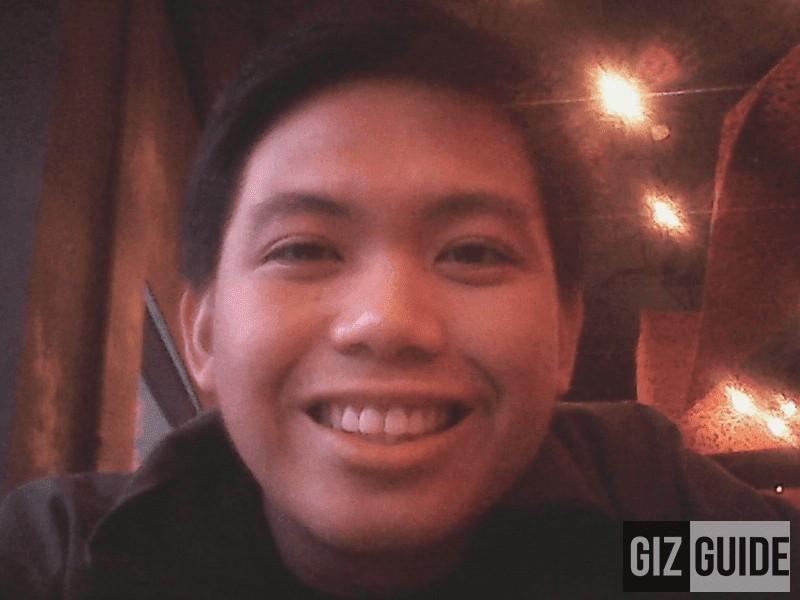 The selfie camera on the other hand definitely needs improvement as I find it quite laggy and too grainy to use. 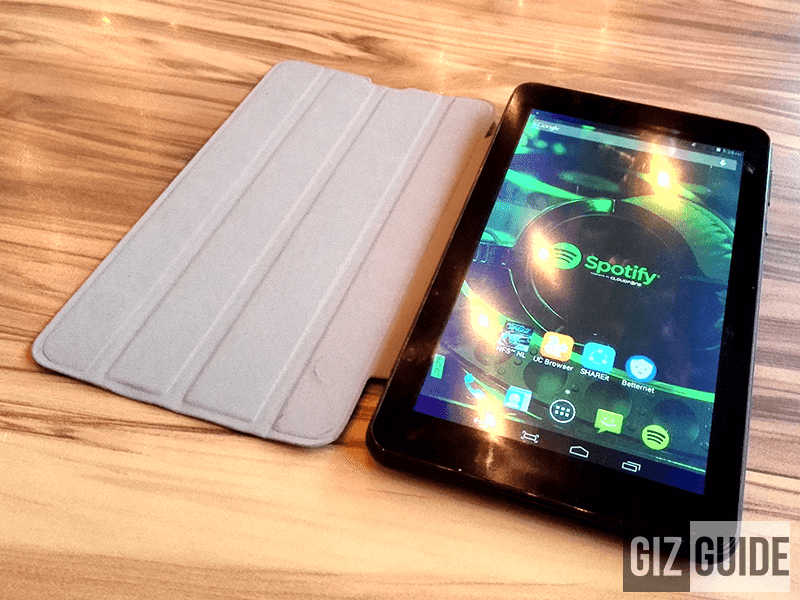 The CloudPad 702q Spotify Edtion is using the 1.3 GHz MT8382 quad core processor paired with Mali 400 GPU and 1 GB of RAM. That setup was able to provide me with good enough performance upon general usage like browsing the net, doing social media stuff and listening to music. It was also able to handle 1080p videos nicely as long as you don't have too many opened apps as 1 GB of RAM isn't that effective nowadays. Upon playing games, I noticed that it isn't as fast loading compared with my higher end devices. The good thing here is some games that needs heavy computing is still playable even with noticeable lags. For games that doesn't require intensive graphics like CoC, temple run and subway surfers, I never had a problem at all. I liked that CloudFone used a light and non-buggy stock Android OS even if it's still on Kitkat. As a result ease of use is very much evident with this tab. 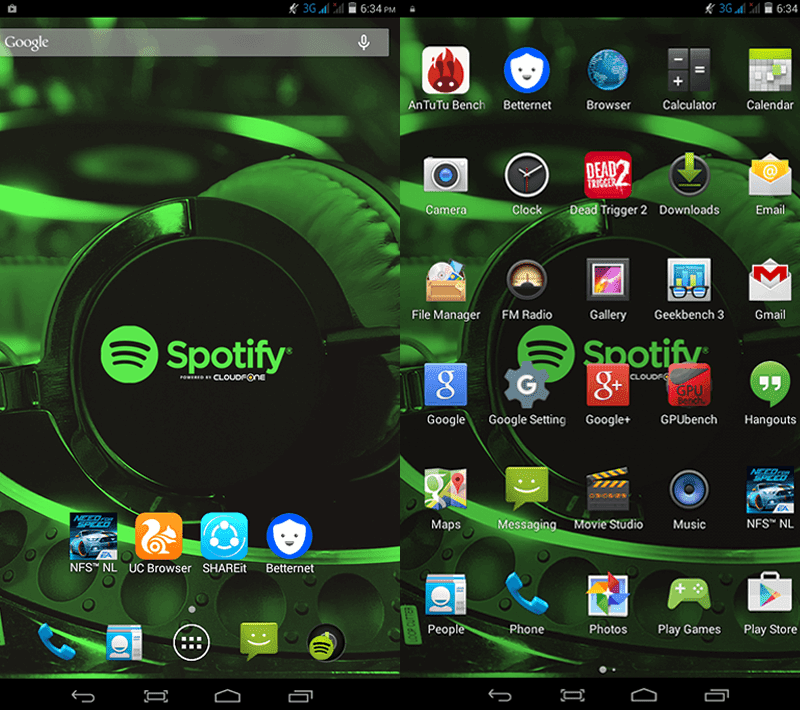 There are just minor tweaks give you that Spotify feel with custom wallpapers, icons and ring tones. To look for something to complain about, I just find the icons a bit compress when as you look closer to the display. Note: This tablet also has dual SIM card capability that you can use for SMS, 3G and calls. CloudFone was able to produce an interesting device here. 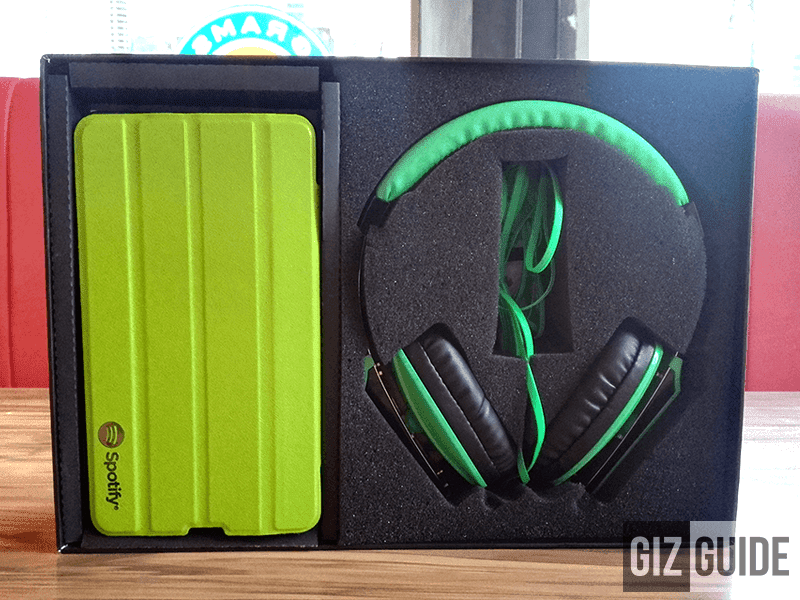 You get a decently performing tablet with loud speakers combined with freebies like screen cover, headphones, earphones and SIM with 200 MB of data. 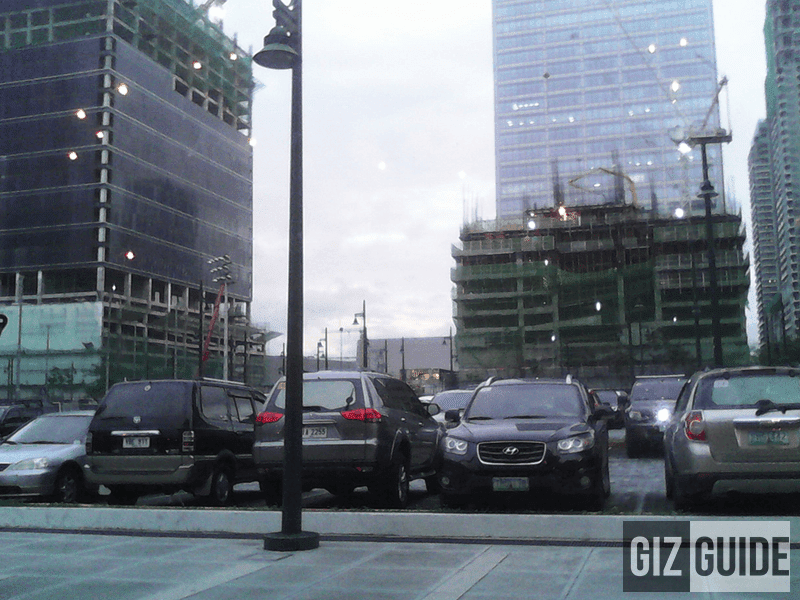 All of that for 4,999 Pesos only, I bet you'll have a hard time finding a package this complete.